I have a lot of friends who have been asking about my oils. I would like to hold a class for them, but I only have a few oils, and I do not have a whole lot of time to put a class together. Can I hold a class without a lot of oils or preparation? How do I know I'm ready if I don't feel like I know all that there is to know about the oils? For most of us as soon as we get our oils we want to share them with everyone we know. When our family, friends, and coworkers see the changes they made in our lives, they are bound to ask questions. All you really have to have to hold a class is a friend, your essential oils, and some information. The way we hold classes can be as versatile as the way we use our oils. Teaching guides and pre-made snacks flavored with essential oils are nice... but not necessary. Bring what oils you have. If you only have your favorites or what you bought in a kit that will do just fine. What is important is that they have a chance to have an oil experience. 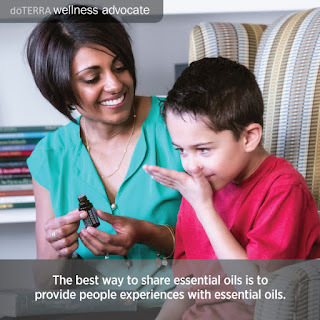 Allowing them the chance to experience the purity of any doTERRA oil is enough to convince people of the power of the oils. After they have had an experience its time to tell them about yours. Your personal testimony and experiences are an excellent teaching tool. Let them know about how the oils have changed your life, and they will see how it can change theirs. After they see how the oils can change lives ask those in attendance what needs they have that the oils can address. The best way to help them think this question through is to simply ask: What would you like to feel more or less of in your life? Take a few moments to demonstrate how essential oils can meet their needs. You do not need to know everything about the oils. Remember you are the messenger, not the authority. Refer to your reference guides before you give advice on what oils work best for their situation. We always recommend Modern Essentials or The Essential Life books. If you are more technologically adept, there is an app. 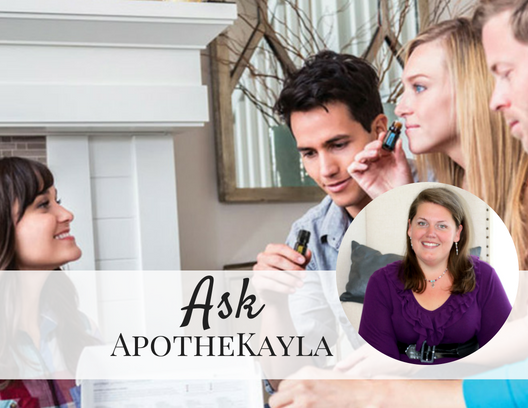 If nothing else a quick visit to the doTERRA website will bring you the answers you need. The last part is simple, let them know to get the oils in their home. Some people will just want to buy one or two oils or products. For those folks show them how to visit the doTERRA website and place the order under your member ID number. If they are ready to save big and sign up for a wholesale account walk them through the enrollment process just as you did when you got started. So there you have it if you have the desire and a friend - you have all you need to hold a class. What are you waiting for? Get your calendar out, plan your first class, and ask those friends and family members who seem so curious about your new lifestyle to come over and experience it for themselves! Thank you for your input. Make sure to take a moment to follow us on social media! We hope to hear from you again! Untill next time, be well!